Harbor Freight is truly amazing! 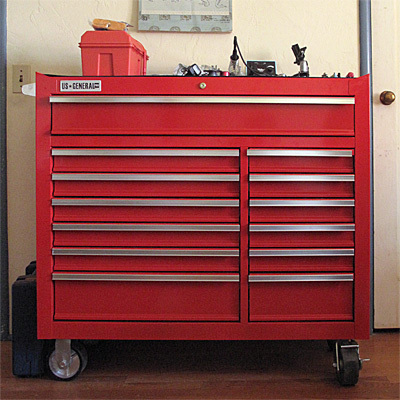 I’m curious though: Why didn’t you buy a Craftsman brand rolling tool cabinet instead? You must be very proud of your son. I hope he enjoys his first year of college. Why include simethicone? Also, you might want to throw in an OTC antihistamine, as they’re great for sudden allergic reactions. I read a number of reviews online, including some comparing the Craftsman to the Harbor Freight rolling tool cabinet. The consensus seemed to be that the Craftsman cabinets were much flimsier and poorer value for money. I don’t know that we will include simethicone, as my son doesn’t often suffer from gassy indigestion (though I do). We might include some antihistamines, though—thanks for the suggestion.